The Conquest series perpetuates the spirit of conquest of all those who, to discover new horizons, have dared to go further than others, without sacrificing elegance. 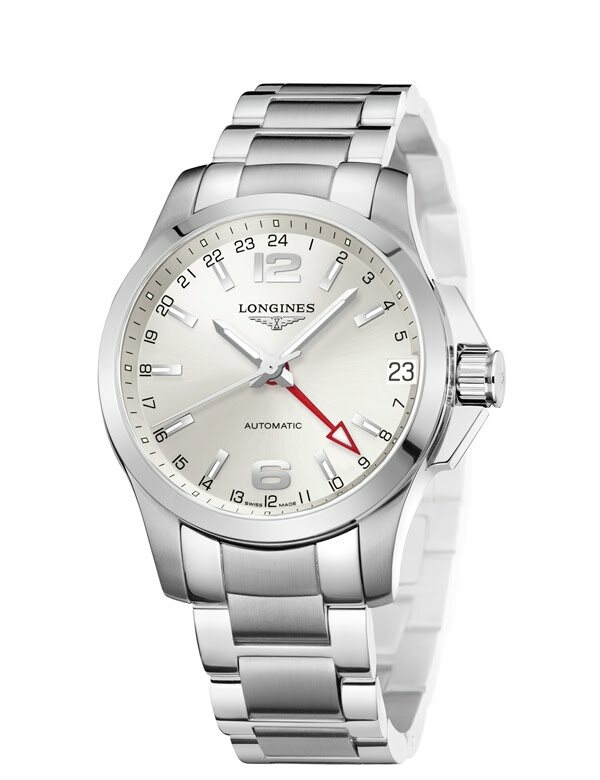 It is with this spirit and its personal heritage that Longines has designed the models in the Conquest line. The design of each watch contains the subtle fusion of performance and elegance, including the most demanding technical characteristics. The new Conquest 24 hours now adds a second time zone, a tool used by pilots crossing different time-zones in both directions. As the sun was not always visible as a point of reference, instruments were needed that could immediately indicated the correct part of the day. With a 24-hour dial navigators had no problem in this respect. The new Conquest 24 hours will attract people with an adventurous streak always trying to get a step further without sacrificing elegance. With its water-resistance to 5 bar (50 m), this model is not only a reliable partner in the air but also under water. The robust, yet elegant stainless steel case of the new Conquest 24 hours has a diameter of 41 mm and houses a self-winding mechanical movement. 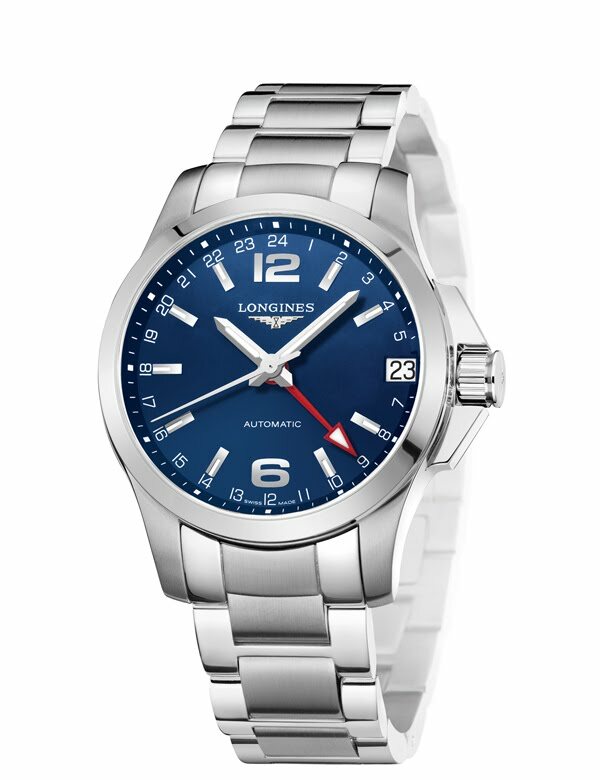 The sapphire glass with anti-reflective coating on the underside protects a black, silvered or blue dial with 2 applied Arabic numerals and 9 applied indices. Rhodium-plated hands with Super-LumiNova show hours, minutes and seconds, the date is indicated at 3 o’clock. The bright red 24-hour hand immediately attracts the eye. All models are available on a stainless steel bracelet and have a screw-in back cover and crown. Another feature is the lateral protection for the crown. The Conquest 24 hours definitely meets the most demanding requirements of travellers, sportsmen and -women and people searching for a reliable watch wherever they are.